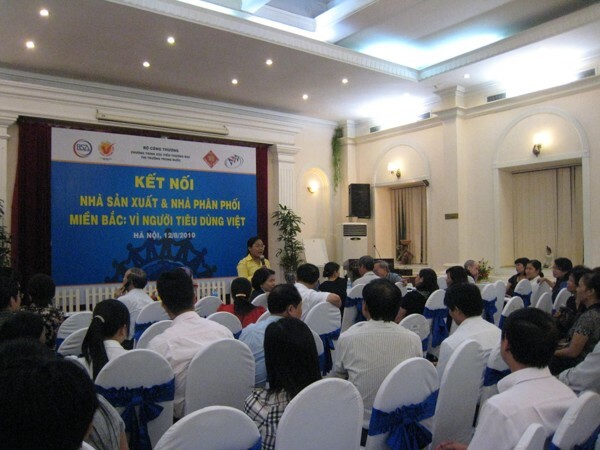 In the morning of 12th Aug, the seminar “Connection between Manufacturers and Distributors in the North: To Vietnamese Customers” was held by the cooperation of Business and Studies and Assistance Centre (BSA), Ministry of Industry and Trade (MOIT), Association of Vietnam Retailers (AVR) and Business Association of High Quality Vietnam Goods. 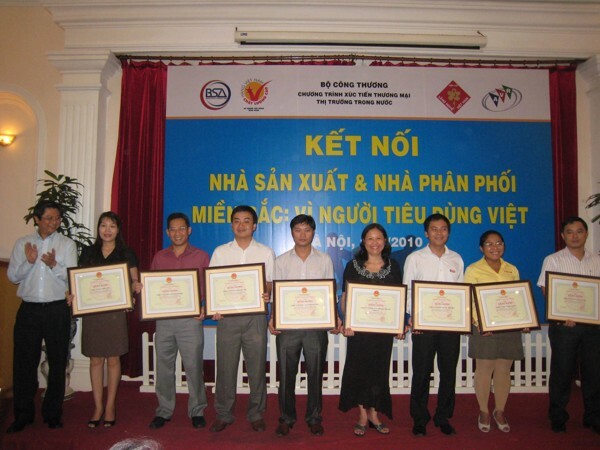 At the seminar, TrungThanh and 35 other companies was given the award “Excellent merit in the program Vietnam Goods come to the contryside” by Ministry of Industry and Trade. 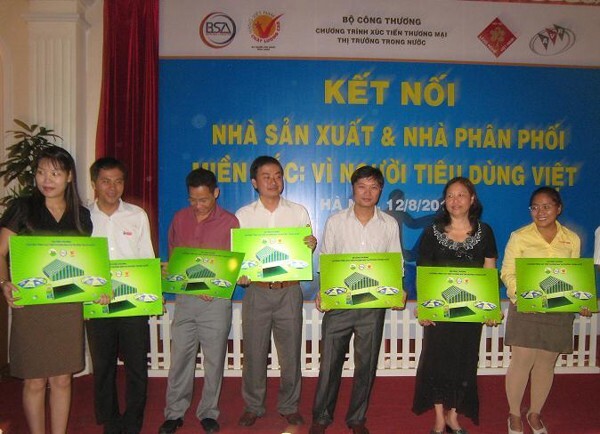 With the efforts of TrungThanh and other enterprises in introducing and promoting High Quality Vietnam Goods to rural areas, even to mountainous areas, border areas where the war between Vietnamese and imported goods is really fierce, TrungThanh and 9 other companies were also awarded the Rural Sales Kits by BSA. Those were for identify the program Vietnam Goods come to the contryside, the organizers hoped to build a firm foundation in Vietnamese Good Fait. At the seminar, there were the presences of manufacturers: TrungThanh, Viettien, Vinamilk, Bat Trang ...; distributors: Big C, Hapromart, Co.orp Mart... and 40 Wholesalers in Tho Tang (Vinh Phuc). This has been the biggest connection seminar ever and is considered an useful activity for businesses in the implementation of promoting Vietnam goods. Here, many manufacturers and distributors have found a common voice, "shaking hands" to bring Vietnamese goods to consumers.